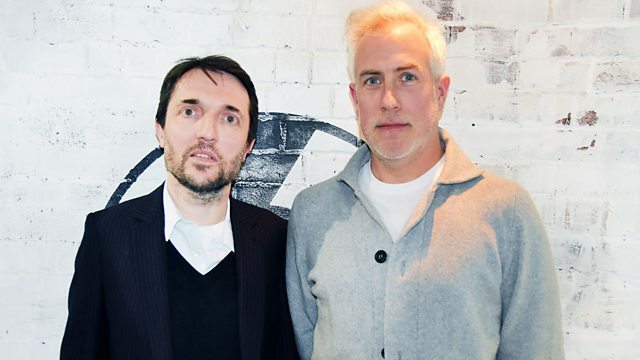 Colin Greenwood, Radiohead's bassist, shares his musical milestones with Matt Everitt in a programme first broadcast in 2017. Colin discusses how he and his brother and band-mate Jonny started playing music, his early passion for Joy Division and the Fall, his love of soul and the bonds that brought Radiohead together back when they formed in 1985. He also talks about Radiohead's first release, The Drill EP, how the band's sound evolved, the public's perception of the group and their Glastonbury appearance. Colin also selects a heap of music, including Fleetwood Mac, Alice Coltrane, Sam Cooke and Kid Creole & the Coconuts. Radiohead's bassist chats to Matt Everitt about his love for Kid Creole and the Coconuts. Listen to in-depth interviews with each member of the band. A selection of major artists revel their first musical purchase.